Built in Green Base Plinth - Gives great Strength, Rigidity and Extra Height. The 8x14 Eden Regal Greenhouses are large 8ft wide greenhouses with double doors, 4 roof vents and a built in base plinth. 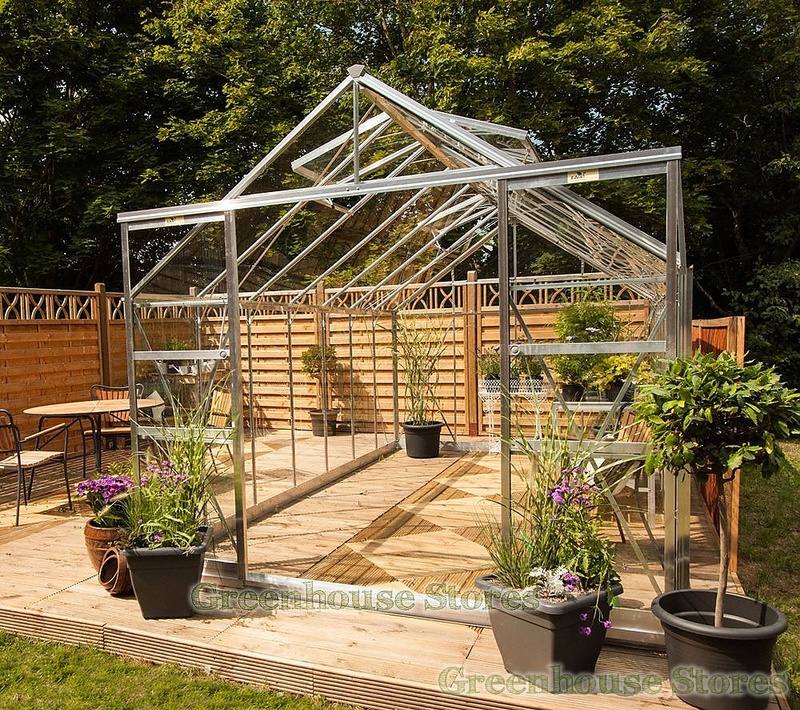 If you need a lot of space for serious growing this could be the idea greenhouse for you. 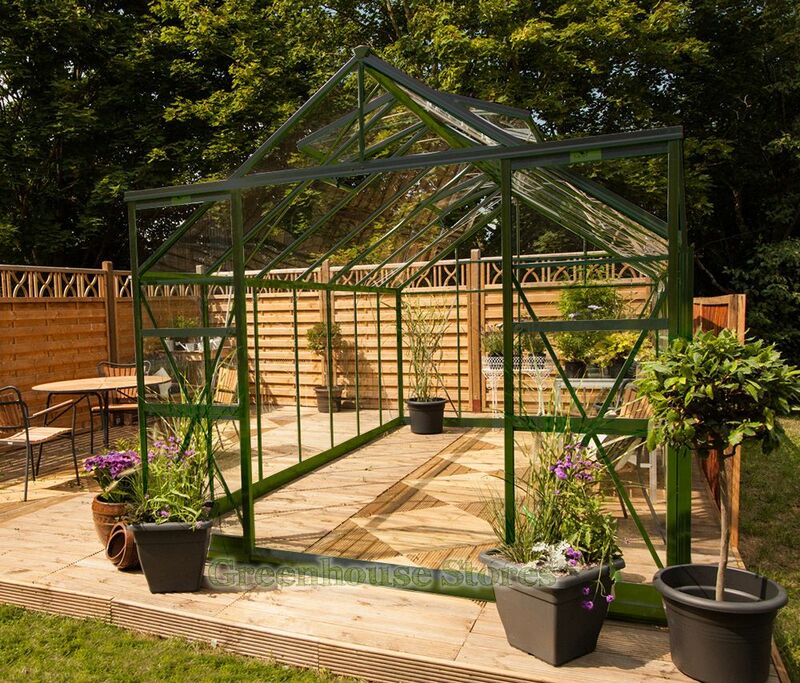 This Eden Regal Green 8x12 Greenhouse with 3mm horticultural glazing has 4 opening roof vents for ventilation, a double sliding door and integral gutters to collect rainwater. The greenhouse is delivered to your door in 3 boxes with clear and easy to follow assembly instructions. Delivery takes up to 28 days and we will call you prior to delivery to let you know which day we’d like to deliver.